The Masjid has a number of large prayers halls including a separate hall for women and girls on the first floor. 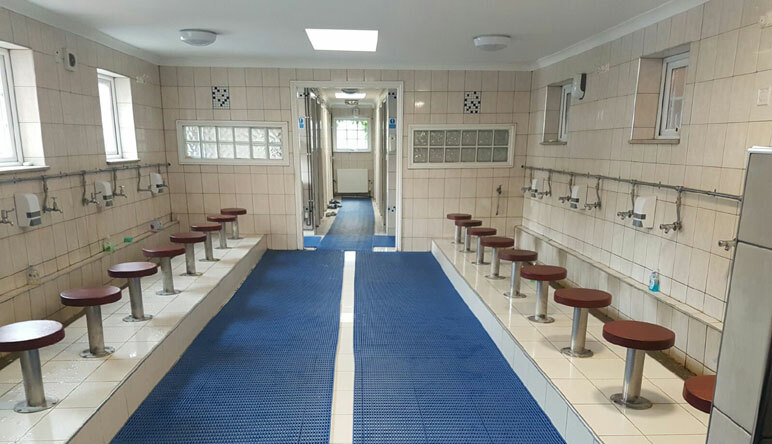 The Masjid has separate male and female wudhu areas but please try to come to the Masjid in a state of wudhu. This is both the Sunnah, and will also help save the Masjid on the cost of water & heating bills. As Muslims we must not to be wasteful of water; the Holy Prophet said: "Do not waste water, even if you perform your wudhu on the banks of an abundant river!" and also, "Verily Allah does not love the wasters." 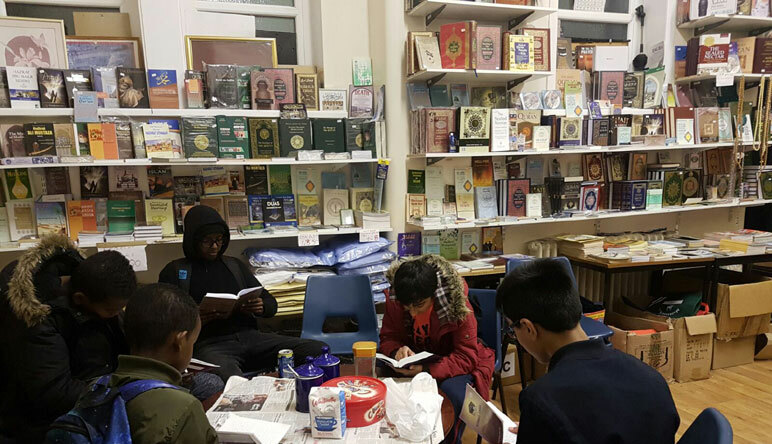 The Masjid hosts an excellent homeschooling group which caters for school years 7-11. 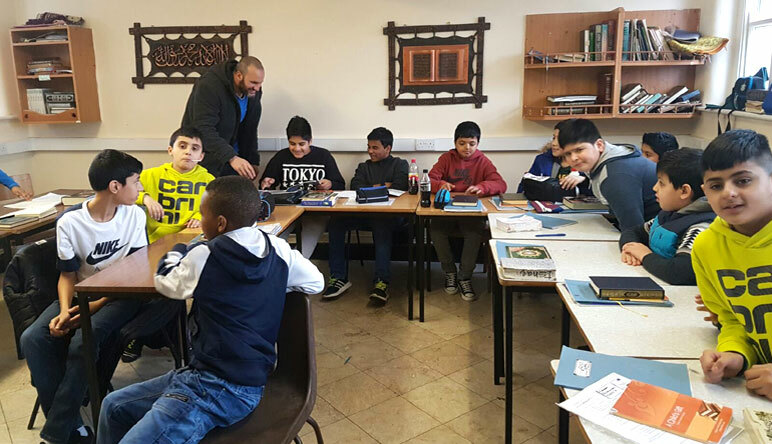 The group has dedicated and highly experienced tutors headed by Mrs Julie Barker. The children are very happy studying in this comfortable and safe environment. See short essay by one of the pupils here. The Masjid bookstore is well stocked with books, as well as prayer mats, garments, teas, perfumes and incense. There is also a fax & photocopying service available at the shop. The opening times are from 5-7pm daily, but will be extended soon insha’Allah. 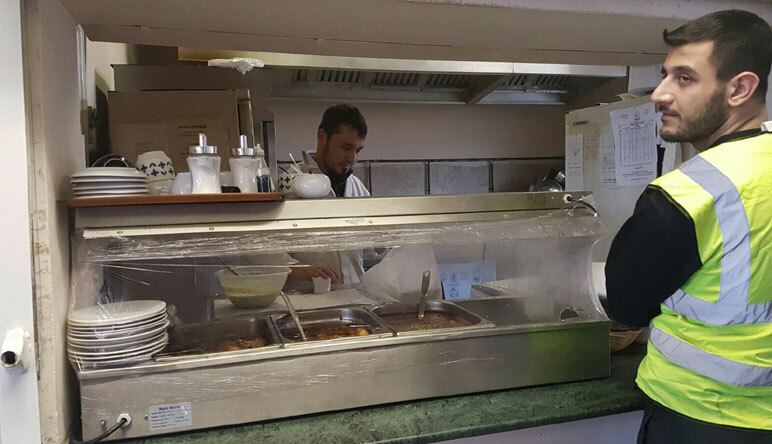 The Shahi Canteen has become a local favourite with delicious Afghan style cuisine on offer for eat-in or takeaway. 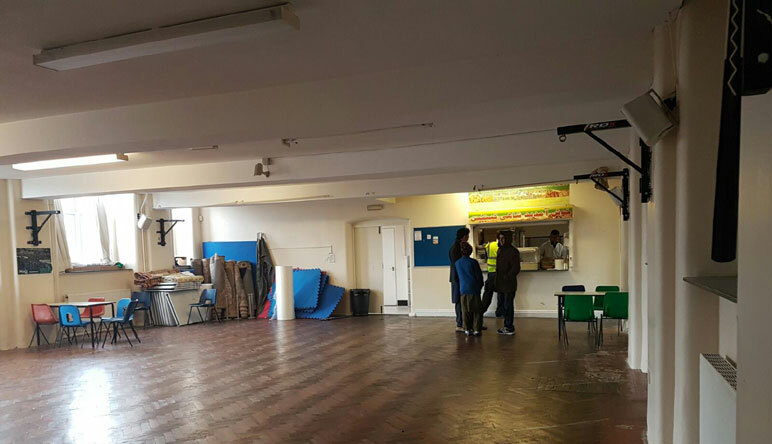 The canteen has a fully equipped kitchen and with the adjoining Community Hall can easily seat and serve over 200 guests. The kitchen staff can also prepare & deliver food for large functions held outside the Masjid. Hot food and drinks are available daily from midday (12pm) till Esha prayer. 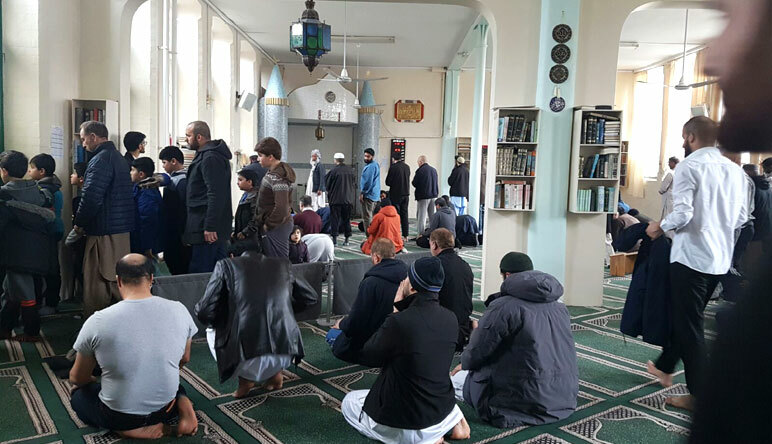 The Community Hall has been host to a variety of functions including the 50th Anniversary of Muslims in Southampton, a function also attended by the City Mayor, local MPs, the head of Hampshire Constabulary, and members of the local community. The hall can be hired for social occasions such as wedding parties, Khatmi Quran, talks, etc. Please contact the Masjid secretary for details. 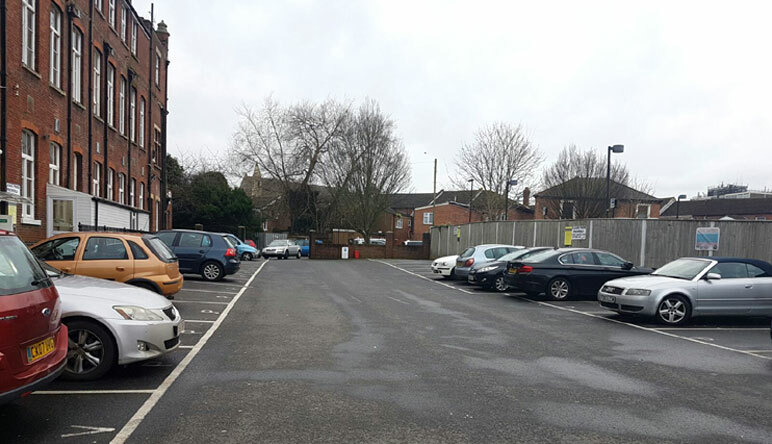 The Masjid has its own car park which can be used by worshippers, and also as parking space for local business staff, football fans on match days, etc. There is a daily charge, please seek permission from the Masjid Secretary or car park attendant if you wish to park there.